Surprisingly, even well-educated Virginians can err when it comes to planning their estates. No matter what one’s financial situation is, there are elements to a solid estate plan that need to be set in place that often get overlooked. 1. No Will. Without a will, assets are distributed in accordance with state law. This can result in unintended allocations. Having a will gives you the opportunity to decide who gets what and when assets are distributed. In addition, you should try to avoid the one-size-fits-all estate planning documents so often found via the Internet. They often fail to take into account the unique facts and circumstances of your life. What’s more, because Virginia law contains several nuanced requirements, these computer-generated documents might end up being invalid. 2. Life Insurance Proceeds Not Transferred. Life insurance proceeds can affect estate taxes. If an insured person owns their insurance proceeds at death, the proceeds become part of the estate and are, therefore, taxable. However, an insured person can transfer ownership of their life insurance proceeds before death through a trust, for example, thereby minimizing estate tax liability. 3. Not Using Gift Exclusions. Several available gift exclusions are provided in the Tax Code, where you can gift portions of your estate to others prior to your death without tax penalties. Giving gifts can be an effective and fulfilling way to decrease future estate tax liability. 4. Naming the Wrong Executor. 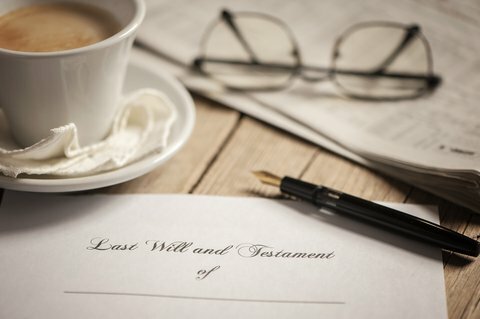 The person you assign to handle your estate upon your death can be demanding. Be sure your executor is up to the job. 5. Not Planning Ahead. It is important to start planning as soon as possible, although it is never too late to create an estate plan. An estate plan provides the opportunity to plan your healthcare wishes and create financial strategies for a number of different situations. 6. Not Updating Your Estate Plan. If circumstances change in your life, you should revise your estate plan accordingly. Failing to do so could result in problems transferring your estate down the line. At the Law Office of Patricia E. Tichenor, P.L.L.C., we are specialists in estate planning procedures and can help you draft and solidify your plan for a secure and rewarding future. Please call (703) 669-6700 to schedule an appointment with either Patricia Tichenor or Camellia Safi, attorneys at law.